Should You Add Baking Soda to Cat Litter? 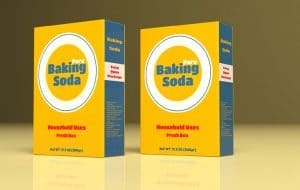 Wondering about using natural baking soda as a litter box additive? We've summed up the pros and cons and bring you a clear recommendation. Nobody enjoys cleaning the litter box - but how much would you be willing to pay for a self-cleaning litter box? 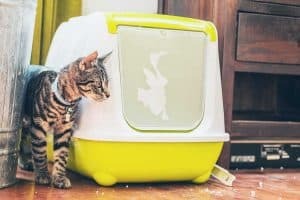 Let's discuss the costs of an automated litter box - including the hidden ones! 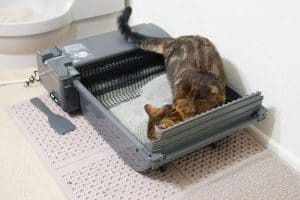 Litter box liners are generally a good idea - but did you know there are many alternatives to traditional (and often expensive!) box liners? Read this complete guide to learn all about this unique product and other solutions to the same issues. 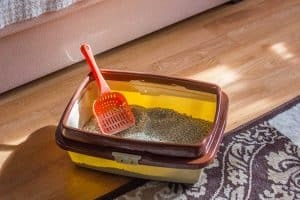 My Cat Scratches the Sides of the Litter Box – What to Do? 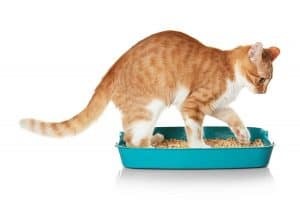 Scratching the sides of a litter box can be an indication that something is wrong with your box setup or maintenance. Kitty may be trying to tell you something about the litter box and we're here to help you interpret the message. Wondering "why my cat scratches the litter box?" Let's find out together. We set out to find what's the best litter box for senior cats and put together this extensive guide for you. 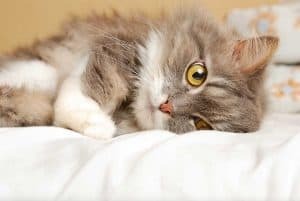 Read to see why your senior cat may need a new litter box and which one you should choose to help him or her make the most of their golden years. 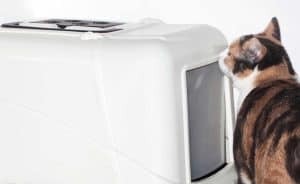 When buying a new litter box, many owners wonder whether to get an open model or one that has a hood to it. Let's discuss covered litter boxes vs. open ones and see which works best. We even have a scientific answer to the everlasting question: Do cats like covered litter boxes. 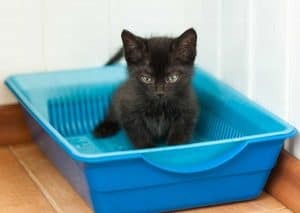 How to clean a litter box with vinegar? We may have some answers for you. 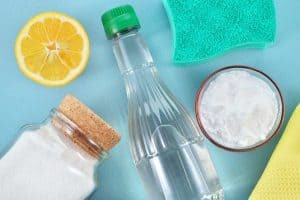 Read all about vinegar as a cleaning solution and how to apply this natural substance to your litter box cleaning routine. Where to put the litter box? We'll walk you through the various consideration for litter box location and see if you should put the litter box in the bathroom, the basement, the bedroom or any other room in your home. 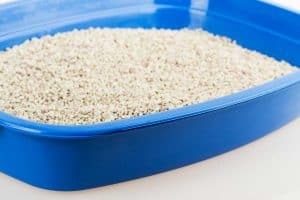 How Many Litter Boxes per Cat Should You Have? How many litter boxes per cat should you have? The answer is not always simple. We bring you a detailed guide that gives you the formula for calculating the idea number of cat litter boxes and also discusses the various situations where more boxes - or fewer - may be a good idea.